To recap briefly where we got to last time, in considering the issue of evolution, we reach a point where life seems impossibly improbable, yet it exists. Something seems to be driving it to create increasingly complex forms of life, but we don’t know what. Now I come back to the issue of complexity from two atheists’ point of view before looking at the Bahá’í perspective once more. 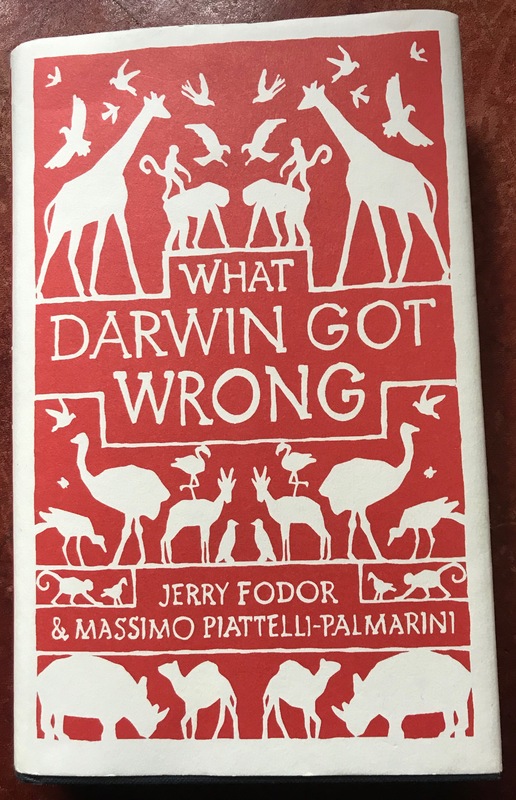 A key issue that Fodor and Piattelli-Palmarini deal with in their book What Darwin Got Wrong concerns what they call optimisation. 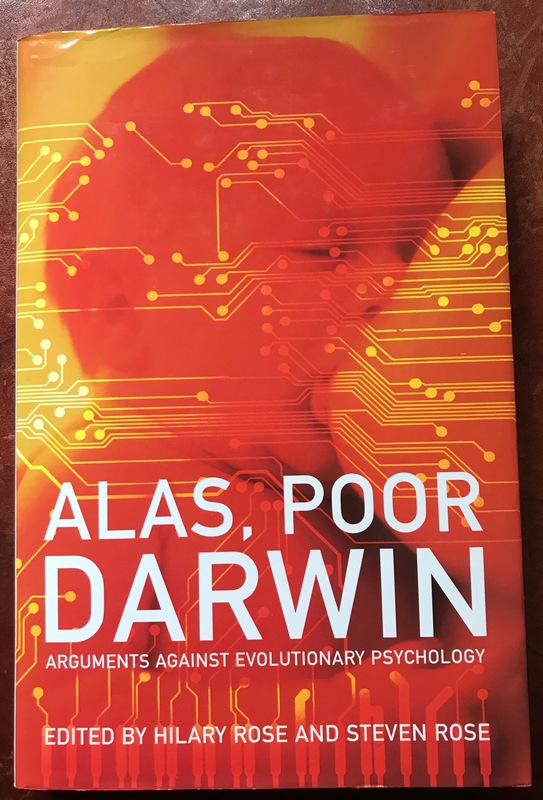 Evolution seems to have achieved near optimal answers to questions which, if pursued by the application of exogenous filters to solutions generated at random, as the neo-Darwinist model requires, would have imposed searching implausibly large spaces of candidate solutions. This seems an intractable enigma, unless prior filtering by endogenous constraints is assumed.
. . . it seems that only physico-chemical and geometric constraints can explain the narrow canalisations that natural selection must have explored.… [Otherwise] the space of possible solutions to be explored seems too gigantic to have been explored by blind trial and error. The angles of effective wing stroke are extremely narrow . . . and one wants to question the process through which this narrow wedge of angles became fixated even before there was any real flight. Not even the most committed adaptationist neo-Darwinians suppose that all kinds of alternatives have been blindly tried out by the ancestors of the wasp … True: wasps have been around for a very long time (some 400 million years, maybe more) but even this is not a long enough time to try out innumerable alternative behavioural solutions, with alternative possibilities conceivable at each step of the behavioural sequence. What, then? No one knows at present. Such cases of elaborate innate behavioural programs… cannot be accounted for by means of optimising physico-chemical or geometric factors. The problem of finding optimal solutions to evolutionary problems by filtering candidates generated at random would often be intractable. But, as we have just seen, there are some instances of optimal (or near-optimal) solutions to problems in biology; so, if natural selection cannot optimise, then something else must be involved.. . . factors that the progress of science will in due time reveal.
. . . atheism is a matter of faith, . . . a way of seeing the world that they have chosen from an array of alternatives about which reason and evidence have nothing to say. . . . Religious faith . . . involves a choice that is no less rational than theirs. So, what might a religion have to say about this problem that would be just as rational? 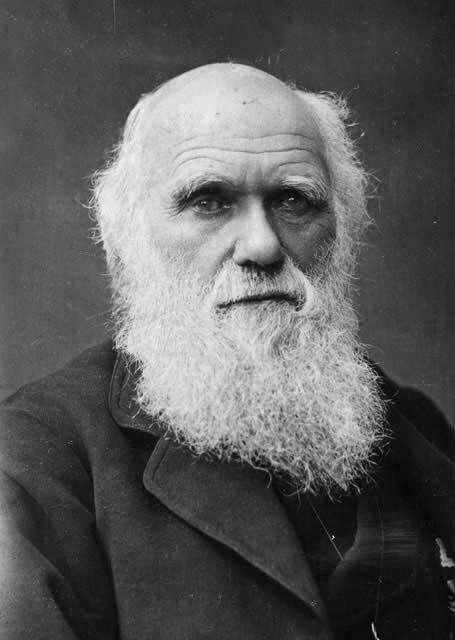 Just as embryonic development consists in the actualisation of the information stored in its genome, evolution based on the existence of a potential order ‘reveals’ the implicit order encoded in fundamental laws of nature.
. . . Because of the gigantic improbability of the result of evolution by chance, today chance as the primary source of complex life is generally rejected. Most modern evolutionary biologists would agree that pure chance cannot explain the complex order of life. ‘. . . . The process of evolution was a process of complexification, of moving from relative simplicity and disorder towards relative complexity and order. . . . It was therefore a process of moving from more probable configurations towards less probable configurations.’ . . . Hatcher concludes that there must be a special kind of force which causes this complexification during the evolution of life on earth. We each of us have to make up our own minds, on the basis of the evidence as we understand it, where we stand on this issue. My main contention here is to suggest that a religious explanation of evolution is as rational as a materialistic one: to commit to either is an act of faith. Reason alone can only warrant agnosticism. Having dealt with the main issue, I would like to take a brief look at another aspect that needs to be borne in mind: what has been the impact on culture and society of buying into a neo-Darwinian perspective? ‘Abdu’l-Bahá has not been the only one to voice such concerns. David Wallace-Wells, in his book The Uninhabitable Earth, speaks of how Social Darwinism appeals ‘to unequal outcomes as “fair” ones, an already familiar one-percenter view.’ In effect, neo-Darwinism works hard to make bllnd competitive selfishness seem almost rational and certainly inevitable. The claims of evolutionary psychology in the field of biology, psychology, anthropology, sociology, cultural studies and philosophy are for the most part not merely mistaken, but culturally pernicious. Social Darwinists and John D. Rockefeller . . . argued that, since nature shows the survival of the fittest coming out of competition, then society should make permanent the winners and losers. It is only natural to follow natural selection. In spite of such arguments continuously being shown to be logically false and morally suspect, they are, I believe, being continuously made and especially by those trained to avoid them, academics. One way to fossilise inequality, I suppose.
. . . we actually have three variables: nature, nurture and self organisation. For convenience I will label them genes (G), culture (C) and free will (F). 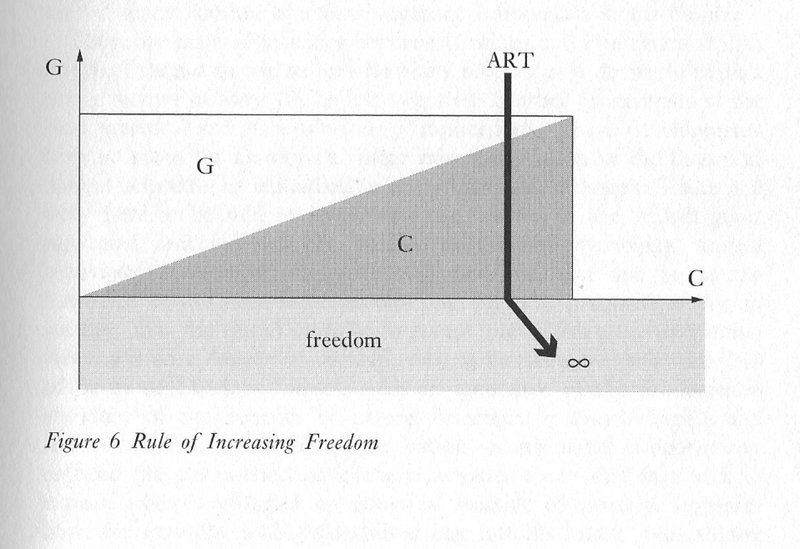 He argues that sneezing is almost completely genetically determined while artistic creativity is one of the most extreme examples of the exercise of free will. If there were no free will, and everything was determined, then none of us would be responsible for what we do and should not therefore be held to account for it, a proposition that would make it hard to adhere to any workable system of crime and punishment. Perhaps as importantly, it would make most of us give up the struggle to overcome tormenting mental states such as depression and obsessive-compulsive drives. Thankfully there is a wealth of evidence to demonstrate that this would be a defeatist delusion. There is a book dealing with a wealth of research that is exactly in line with this. Modern neuroscience is now demonstrating what James suspected more than a century ago: that attention is a mental state . . . that allows us, moment by moment, to “choose and sculpt how our ever-changing minds will work, [to] choose who we will be the next moment in a very real sense . . The basic principles of evolutionary biology would seem to dictate that any natural phenomenon as prominent in our lives as our experience of consciousness must necessarily have some discernible and quantifiable effect in order for it to exist, and to persist, in nature at all. They introduce us to Chalmers‘ notion that consciousness can be regarded (page 47) as a “non-reductive primitive,” a “fundamental building block of reality”. It would be impossible to describe all the evidence they adduce to support the claim that volition is real and its exercise can change the brain, i.e. mind alters matter in this case and it cannot be explained as one part of the brain working on another part. 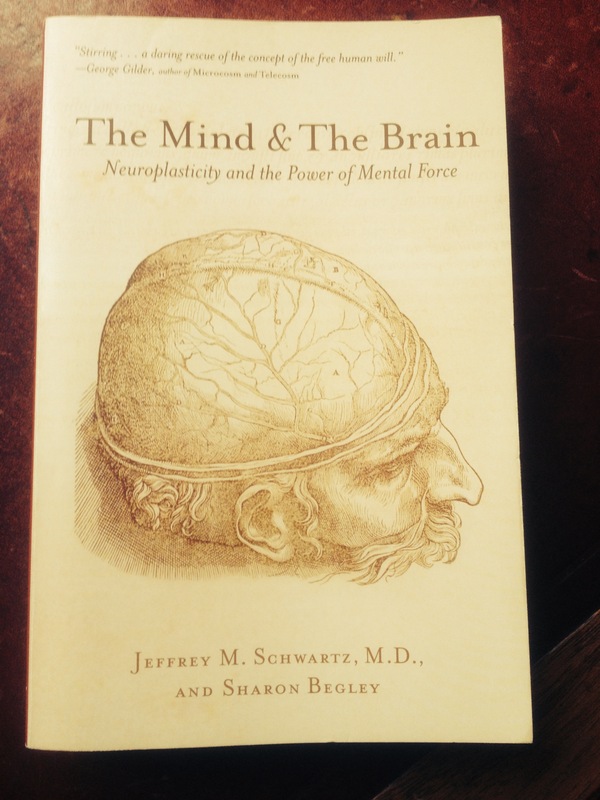 The changes the Four Steps can produce in the brain offered strong evidence that willful [i.e. willed], mindful effort can alter brain function, and that such self-directed brain changes – neuroplasticity – are a genuine reality. The clinical and physiological results achieved with OCD support the notion that the conscious and willful mind cannot be explained solely and completely by matter, by the material substance of the brain. In other words, the arrow of causation relating brain and mind must be bidirectional. . . . [M]odern quantum physics provides an empirically validated formalism that can account for the effects of mental processes on brain function. So, there I will leave the matter for now at least. In my view, it is as rational to believe in a transcendent driver behind the improbable complexities of evolution, as it is to believe we will eventually find a convincing material one. There may also be good reasons for being more alert to some of the more potentially toxic ways a neo-Darwinian perspective has been contaminating our culture. These [perfect] mirrors are the Messengers of God Who tell the story of Divinity, just as the material mirror reflects the light and disc of the outer sun in the skies. In this way the image and effulgence of the Sun of Reality appear in the mirrors of the Manifestations of God. This is what Jesus Christ meant when He declared, “the father is in the son,” the purpose being that the reality of that eternal Sun had become reflected in its glory in Christ Himself. It does not signify that the Sun of Reality had descended from its place in heaven or that its essential being had effected an entrance into the mirror . . . . Given my recent sequence of posts on global warming it seemed timely to republish this sequence. We have discovered how far Rifkin’s case against religion seems largely to be based on his dislike of Christian teachings, especially concerning the existence of Satan, the Fall of man, and the resultant denigration of the body. He is aware that other religious teachings do not fall into what would be for him the same trap.
. . . the Gnostics viewed Jesus as a human being who had achieved enlightenment. There is no talk of him performing miracles or referring to himself as the son of God or any recollection of Jesus dying for the sins of a fallen humanity. For the Gnostics, ignorance of one’s true self, not sin, is the underlying cause of human suffering. Therefore, the key to unlocking the divine in each person is self-knowledge through introspection. The critical question is whether enlightenment comes from fully participating in the world around us in all of its vulnerability and corporeality or by withdrawing to an inner world removed from the vulnerability of corporeal existence. The historical Jesus was fully engaged in the world. The Christian empathic surge lasted a mere three centuries; but in that time it made an incredible mark on history. By A.D. 250 the number of Christians in Rome alone had grown to fifty thousand people. If one were to have to choose a single individual who most embodied a cosmopolitan view of the world and a universal empathic sensibility, Goethe would be an easy pick. Goethe felt that the purpose of living was to enrich life and that man is endowed with a special appreciation of life – a heightened consciousness – so that he might steward all that is alive. . . . Breathing nature in and out was the way one takes in nature and remains connected to the larger whole. With Goethe, we see the secularisation of the empathic impulse, embedded in the embodied experience and that includes not only human society but all of nature. His empathic view is truly universal in scope. Left behind is any heartfelt connection to another’s plight as if it were one’s own; the desire to comfort them because of a felt understanding of one’s common humanity. Schopenhauer argues that the moral code that accompanies theological consciousness is purely prescriptive. If human nature is “fallen,” as the Abrahamic religions suggest, then there is no moral basis within an individual’s being that would predispose him to do the morally right thing. God’s commandments, therefore, are a prescriptive device telling human beings that this is the way they “ought” to behave if they are to be rewarded by God’s grace and not punished by his wrath. After deconstructing Kant’s categorical imperative, Schopenhauer offers a detailed description of moral behaviour that he argues is embedded in the very sinew of human nature – with the qualification that it needs to be brought out and nurtured by society if it is to be fully realised. He argues that “compassion” is at the core of human nature. However, in my view, and I suspect in the view of many members of many religions throughout the world, there is no need to make his leap of logic and deny a transcendent realm in order to explain why human beings can be compassionate. Even evolutionary theory – for example in the thinking of Robert Wright and Michael McCullough – plainly discerns how the development of empathy is wired into our brains and selected for in successful cultures. The moral imagination was ‘designed’ by natural selection . . . . . to help us cement fruitfully peaceful relations when they’re available. The expansion of the moral imagination forces us to see the interior of more and more other people for what the interior of other people is – namely remarkably like our own interior. 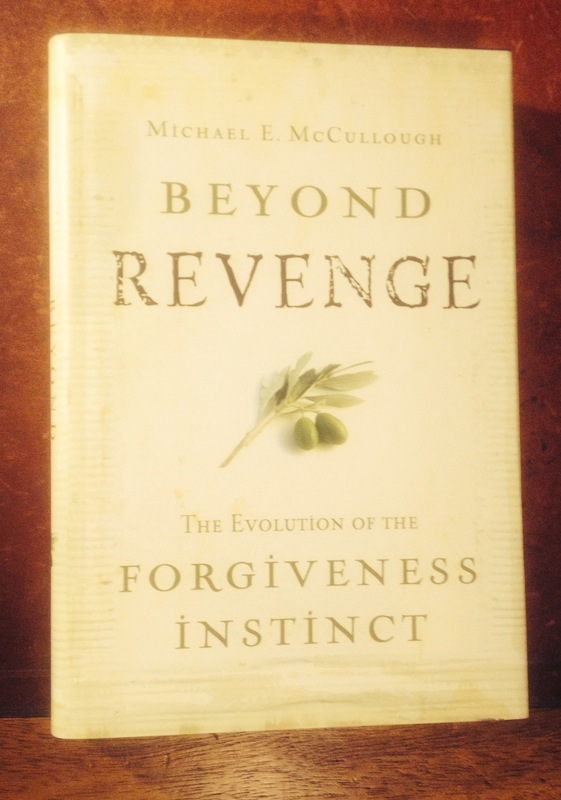 Revenge and forgiveness… are conditioned adaptations – they’re context sensitive. Whether we’re motivated to seek revenge or to forgive depends on who does the harming, as well as on the advantages and disadvantages associated with both of these options. One of the best ways to take all the fun out of revenge, and promote forgiveness instead, is to make people feel empathy for the people who’ve harmed them. In 1997, my colleagues and I showed that when people experience empathy for a transgressor, it’s difficult to maintain a vengeful attitude. Instead, forgiveness often emerges. . . . When you feel empathic toward someone, your willingness to retaliate goes way down. This material potential may be a necessary condition for empathy to grow further in our increasingly global civilisation. Even if religion is not the enemy, do we need it? The question is whether we agree that the way evolution has shaped the brain is also a sufficient condition to produce the necessary levels of self-mastery and altruism and spread them widely and deeply enough across humanity to preserve us in the longer term. While we are all born with a predisposition to experience empathic distress, this core aspect of our being only develops into true empathic consciousness by the continuous struggle of differentiation and integration in civilisation. Far from squelching the empathic impulse, it is the dynamics of unfolding civilisation that is the fertile ground for its development and for human transcendence. For James, then, there are falsification conditions for any given truth claim, but no absolute verification condition, regardless of how stable the truth claim may be as an experiential function. He writes in The Will to Believe that as an empiricist he believes that we can in fact attain truth, but not that we can know infallibly when we have. Absence of evidence therefore would not be evidence of absence, but in any case there is a wealth of evidence Rifkin is choosing to ignore here, as we have briefly touched upon above. (b) that is OK because we can draw upon transcendent powers. That though is what I believe. When I was a child my father asked me to imagine what it would be like if a man stood with each of his feet in a bucket, grabbed the handles and tried to lift himself off the ground. In my view, all the evidence so far points to our being in a similar predicament: I find it impossible to believe we can mobilise what would be the necessary level of vision, self-sacrifice and sustained co-ordinated action over centuries to turn round our descent into self-destruction and climb back from the brink of extinction by our own unaided efforts. In any case, whatever you think about that point, I feel there is even more convincing evidence that we do not have to rely only on ourselves. There is a transcendent dimension or foundation to reality and we can learn to draw upon its powers. In religion-neutral language we can speak of a ground of being, inherently conscious, inherently loving, inherently wise, that we can learn to connect to. And something flipped inside of me which I cannot quite explain. This is the ultimate cognition, that I had at that very moment. There was a complete about-turn in my psyche and I just realized that consciousness is the ground of all being. I remember staying up that night, looking at the sky and having a real mystical feeling about what the world is, and the complete conviction that this is the way the world is, this is the way that reality is, and one can do science. You see, the prevalent notion — even among people like David Bohm — was, “How can you ever do science without assuming that there is reality and material and all this? How can you do science if you let consciousness do things which are ‘arbitrary’?” But I became completely convinced — there has not been a shred of doubt ever since — that one can do science on this basis. And he is not the only scientist to have reported such an experience (see link). There are those who feel that this can be done as an individual through meditation without drawing upon any spiritual tradition or organised religion. I certainly agree that we can move a long way forwards in this way, but for me there is a distinction between the profound insights granted to the Founders of the great world faiths, no matter how far the followers may have strayed from the original path, and those insights a mystic can achieve. To explain this clearly we need to start from the idea stated in the quotation at the head of this post. The Founders of the great world religions are like stainless Mirrors in which we can see reflected what is the closest approximation to the reality of God that we are capable of apprehending. However, our hearts, which are, as a friend once expressed it, the experience of our soul in consciousness, are also mirrors which we can polish until they reflect as perfectly as we are able, but not as perfectly as a Messenger of God, the Sun of Reality if we choose to point them in that direction. That, it seems to me, defines the difference between a mystic and a Messenger of God. Each Messenger of God has given us guidance appropriate to the time in which we live that will enable us to perfect our heart, as far as we are able, and perfect our world – rebuild our civilization if you like.
. . . the time has come when each human being on earth must learn to accept responsibility for the welfare of the entire human family. Commitment to this revolutionising principle will increasingly empower individuals and Bahá’í institutions alike in awakening others to . . . the latent spiritual and moral capacities that can change this world into another world. While Bahá’ís have a model for how this task might be accomplished, it is not a task for Bahá’ís alone. It would be impossible. All people of good will across the planet need to play their part according to their sense of what is required of them. Turn thy sight unto thyself, that thou mayest find Me standing within thee, mighty, powerful and self-subsisting. Only when we have such a sense of powerful support and shared humanity does it seem to me that we can reach that tipping point, when most of the world of humanity will be prepared and able to put their weight effectively against the wheel of redemptive change, and only then will disaster be averted. Pray God that moment will not come too late for us. 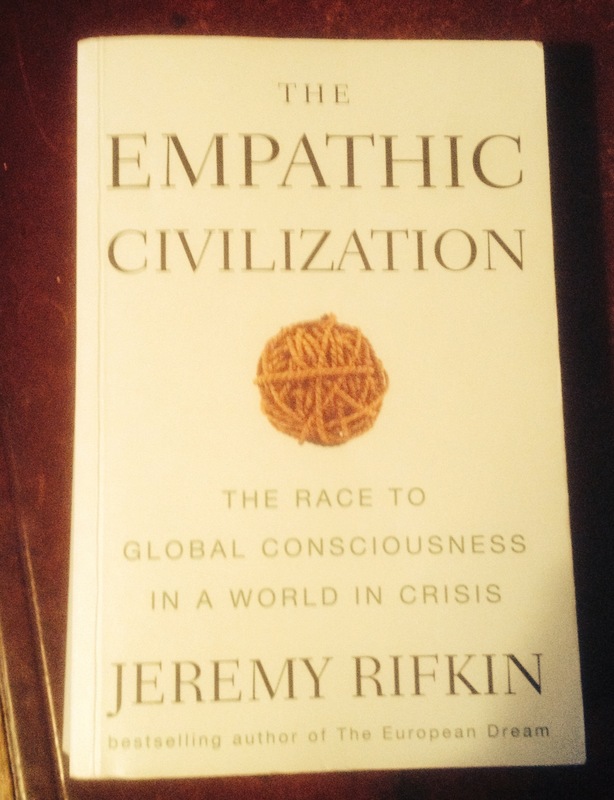 Rifkin has done his best in this impressive book to suggest one possible path towards a secure future. Those who follow his line of thinking and put it into practice will surely do some good. They could do so much more, it seems to me, if they had faith in an effectively benign power higher than the planet we are seeking to save and which needs our urgent help. 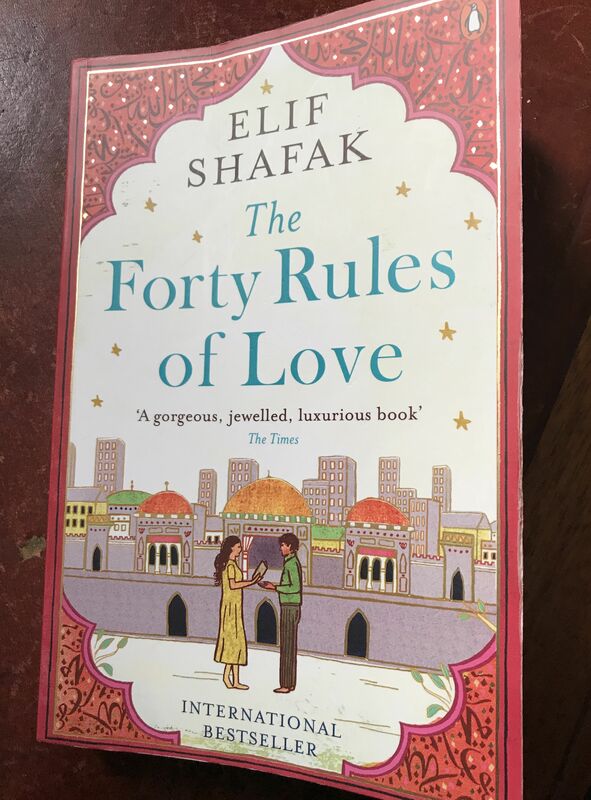 Since vowing, in the wake of reading The 40 Rules of Love, to focus more on spiritual poetry, I have conspicuously failed to follow through. Yes, I’ve finished my volume of selected poems by Machado, dipped into a few of Eliot’s later poems, been diverted by very brief excursions into Robert Lowell and W.H. Auden, and a far longer exploration of Samuel Beckett’s life (more of that in a minute), only to end by picking up The Tenant of Wildfell Hall with the intention of finishing it at last, after starting it more than 12 months ago. That was after the eye-opening experience of reading Samantha Ellis’s Take Courage. I baulked at reading on at the time because I wasn’t sure that I could handle the nightmare of Helen’s marriage as Emily has her depict it. Both finer character and faculties. As winter thunder or a polar bear. So, perhaps not surprisingly the novel still insists on commanding my attention. This is one of the novel’s great strengths. I disagree. Her novel integrates her faith with her art and that only adds depth, a depth upon which too much of modern art and writing has turned its back. I accept that some will find Helen’s piety disquieting in that it initially seems to influence her to suffer in silence. Even during that period though it gives her strength to cope with her husband’s oppressive vagaries, while also enabling her to hold onto the necessary critical perspective that means she never succumbs to the temptation to tolerate them as in some way acceptable. His absolute refusal to attempt anything of the kind may be part of the reason why Beckett as a writer fails to engage my interest. 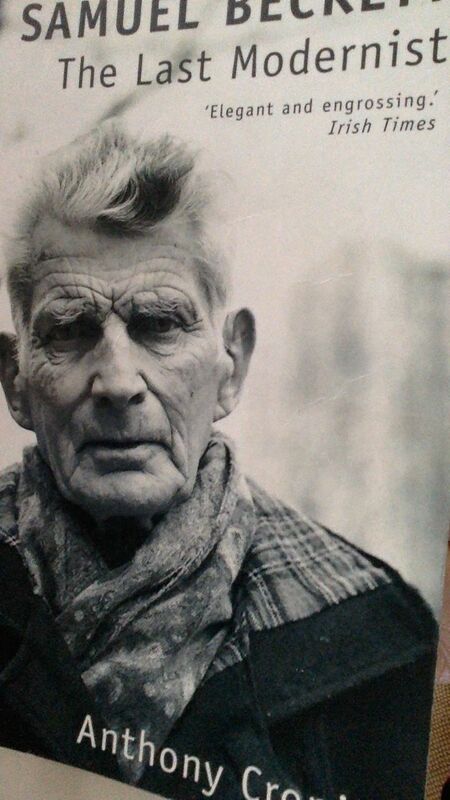 Few writers have ever seemed as trapped as Beckett was in a pillar-box consciousness that struggles and fails to find meaning in anything at all. Even so, I do remember enjoying being involved in a production of Waiting for Godot many years ago when working at Kilburn Polytechnic. As I recall we emphasised the comic music hall aspects rather than the existential angst. 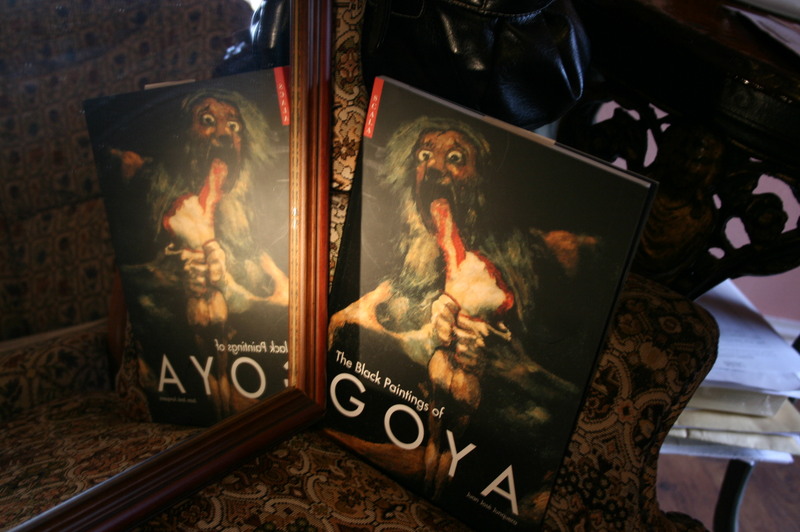 That play is perhaps the most accessible and amusing and least unpalatable expression of his bleak view of reality, and it appealed to my scepticism at the time about religion and God. There is nonetheless something about his perspective I do appreciate. 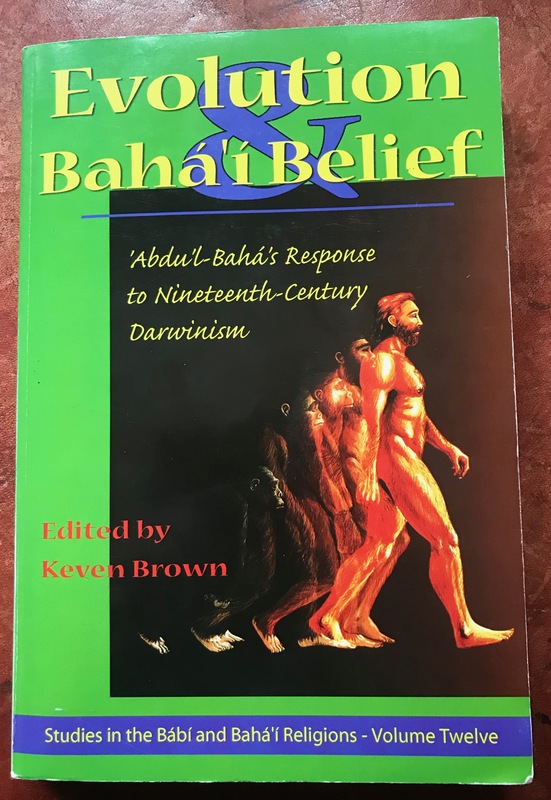 It is doubtful if he believed in any sort of survival of consciousness, or disbelieved in it either, since belief – or disbelief – was not something he permitted himself. He thought that all the guides were poor ones and that it was better to live, and to admit to living, in complete uncertainty . . . The sense I have is that James did achieve a position where, even though uncertainty could not be completely dispelled, a workable sense of reality that would guide effective practical and consensus moral action is within our reach, even in the still pluralistic social world we inhabit. This is very much how I feel about the issue, hence my sense of being very much at home in James’s worldview. So, my position is not as absolute as Beckett’s. Literature, which at its best serves to express a writer’s enriching take on reality and cannot really do otherwise if it is to work, needs to tread a fairly narrow path between dogmatically preaching any form of doctrine, whether that be religious or nihilistic, and simply pandering to the reader’s desire to escape into an unreal but more comfortable or more exciting world. And now I have another decision to make. 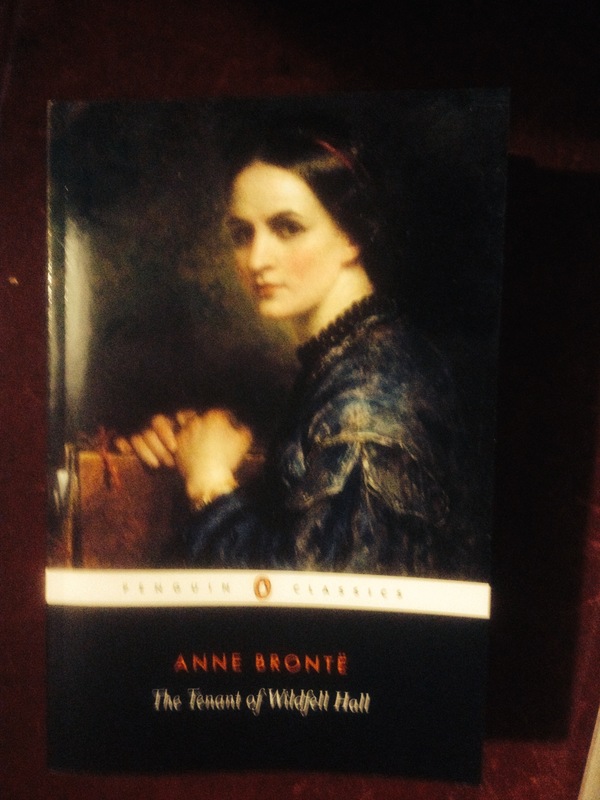 There are two wolves waiting in the wings – Wolf Solent (again half finished) and Wolf Hall (barely started yet). Neither of them preach or pander, as far as I can tell up to now. Which one will most reward my continuing immersion in its world, I wonder? Or will I end up somewhere else altogether? Time will tell. Last year about this time I posted this sequence which again seems relevant in the light of my current exploration of consciousness in the context of climate change. The posts appeared on consecutive days: this is the last. 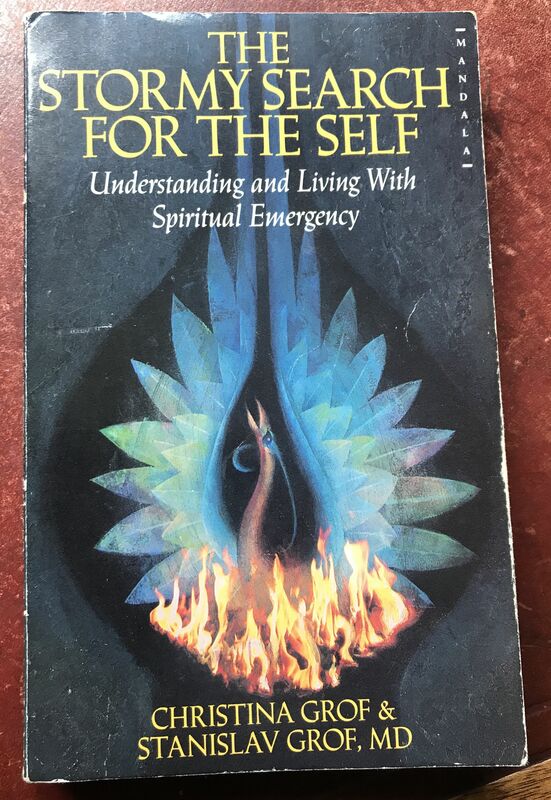 John Ehrenfeld, in Flourishing, the account of his conversation with Andrew Hoffman, develops even further the ideas about our situation that we explored last time (page 107), when he says that ‘Collapse cannot be avoided, if people do not learn to view themselves and others with compassion.’ I have explored the value of compassion and altruism at length elsewhere on this blog, so won’t elaborate further here. 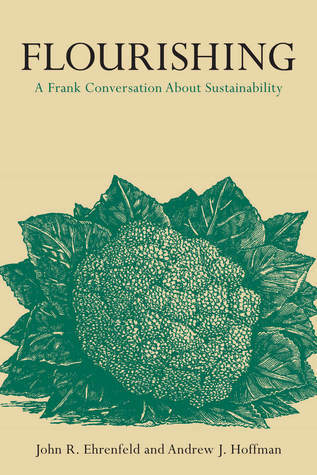 Our contemporary conversation about sustainability is taking place without a clear understanding, or with purposeful ignorance, of our place within a complex world. Complexity refers to a system whose parts are so multiply interconnected that it is impossible to predict how it will behave when perturbed. This position is rigorously explored in Daniel Kahneman’s book Thinking Fast, Thinking Slow. He adduces decades of research to help him define exactly those areas, such as Ehrenfeld refers to here, where, despite our frequently arrogant assumption to the contrary, it is impossible to predict accurately, or in some cases at all, what will happen. Until we recognise and accept that we humans are an integral part of the complex system we call Earth, the possibility of sustainability will be nil. Flourishing and other similar qualities emerge from the working of the system as a whole and cannot be described by any reductionist set of rules. The complexity, which both Mason and Ehrenfeld adduce from their different perspectives, also testifies to the impossibility of defining any of the problems we face in simple terms. No minority group or economic sub-system can in itself explain a failure of this wider system and we cannot accurately predict simple outcomes even from simple lines of action. Ehrenfeld goes on to explain exactly what this implies. The first important component is that the complex Earth system cannot be reduced to a set of analytic rules that both explain and predict its behaviour. . . . . Chaotic situations remain chaotic until something perturbs the system and creates order, but we cannot tell in advance what the ordered system will look like. . . . .
A second important component is that the model of learning and knowledge necessary to understand sustainability in a complex system contradicts the conventional Cartesian model of cognition. [The necessary level of almost exact prediction is impossible.] . . . . . This tension must be very frustrating to many scientists who are not yet ready to drop the scientific method of revealing truth for a method that can only describe behaviour in general terms. . . . .
A third important component is that we must replace the apparent certainty of technocratic designs with adaptive and resilient systems built on understanding that is gained by experience. If we are to cope . . . we have to start by telling the truth. Pragmatism, an important element of leadership for sustainability-as-flourishing, helps us to move towards the direction of that truth. Finding pragmatic truth relies on a continuous enquiry or experiment by a community of learners that ends only when the ‘theory’ developed to explain the latest results successfully explains what is happening and, then and only then, is deemed to be ‘true.’ But such truths are always contingent on and subject to being overruled by future experience. In a world of pragmatic thinking, my understanding of the same world that both of us inhabit is likely to be different from yours because you and I have led historically different lives… [A]s long as people are acting and thinking authentically, no one can own an absolutely ‘true’ belief about the world or claim to have the one ‘right’ way to act. It is perhaps important to emphasise here that being pragmatic in this context does not mean being unprincipled. The existence of this link is so frequently and strongly assumed that it consistently hides an important truth. In a world where exact predictions of what will happen when we take a particular action are virtually impossible, given the complexity of the globally interconnected system within which we now have to operate, we have to find ways of enacting our values while adjusting our plans in the light of subsequent events. The modus operandi at the individual level which Acceptance and Commitment Therapy outlines seems to me to apply at the collective level as well. We make a plan with clear steps towards what we feel is our valued goal. However, we should not be so attached to any particular step as to confuse it with the ultimate goal. If the step proves not to be taking us in the direction we hoped for we need to change it. Also, as I have discussed at length elsewhere, both at the individual and collective level, the means we choose to bring us nearer to our desired objective should never be inherently corrupt or downright evil. 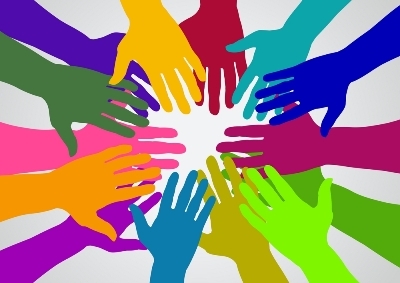 Cooperative, self managed, nonhierarchical teams are the most technologically advanced form of work. Yet large parts of the workforce are trapped in a world of fines, discipline, violence and power hierarchies – simply because the existence of a cheap labour culture allows it to survive. As we pursue these goals, a general picture is likely to emerge: the transition to postcapitalism is going to be driven by surprise discoveries made by groups of people working in teams, about what they can do to old processes by applying collaborative thinking and networks..
Ehrenfeld emphasises the importance of spirituality because it is the strongest foundation for a necessary sense of interconnectedness (page 152). His view of religion is much less positive, though that is not entirely surprising given how divisive religion is perceived to be. 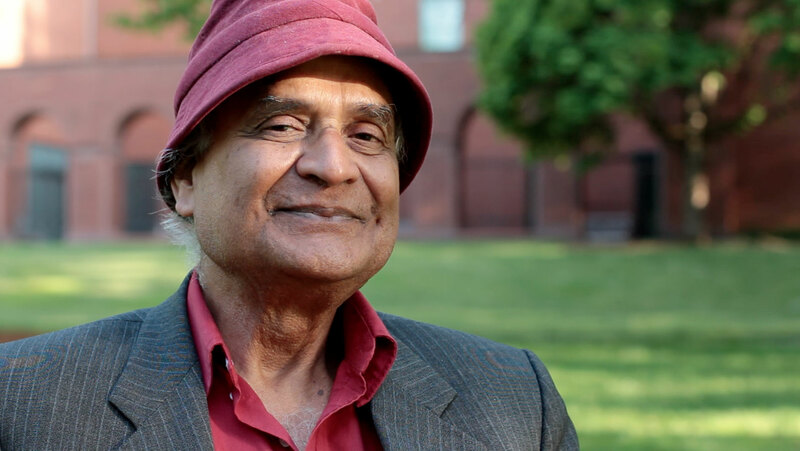 His main reservation though is that religions are out of date: he seems sadly unaware of the existence of the Bahá’í Faith and the role of other religions in promoting the kinds of awareness he is advocating. I don’t think even the young adults of today are going to be the ones to ultimately change things. They are part of a much longer process of change that will even outlive them. It will take generations for these ideas to become embedded in the culture and new norms aligned with flourishing to arise. It seems a good idea to end this discussion of this complex and challenging issue with the words from a friend’s blog-review of this book. 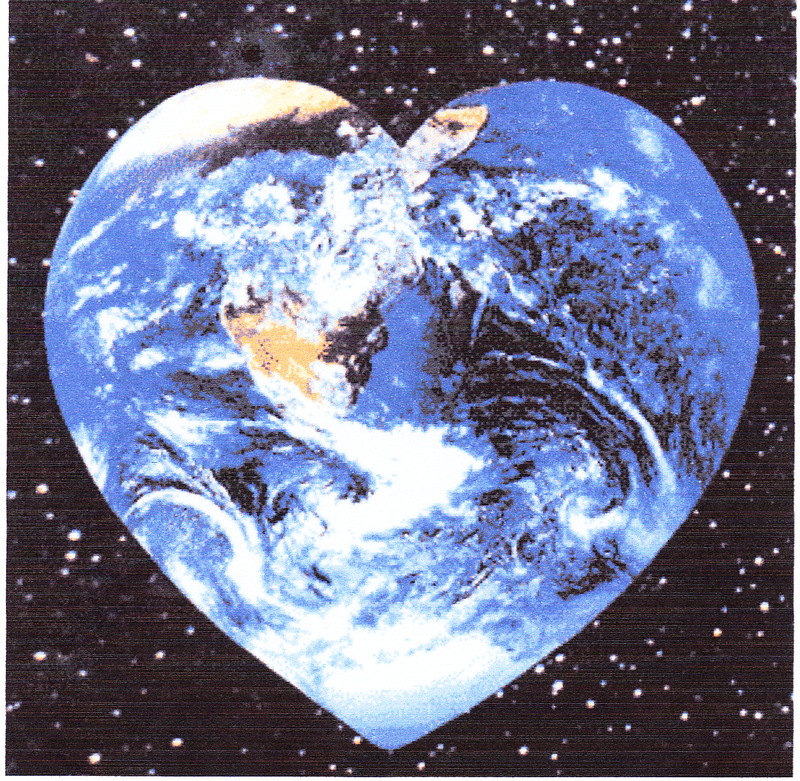 ‘The fundamentals of the whole economic condition are divine in nature and are associated with the world of the heart and spirit…Hearts must be so cemented together, love must become so dominant that the rich shall most willingly extend assistance to the poor and take steps to establish these economic adjustments permanently. If it is accomplished in this way, it will be most praiseworthy because then it will be for the sake of God and in the pathway of His service. For example, it will be as if the rich inhabitants of a city should say, “It is neither just nor lawful that we should possess great wealth while there is abject poverty in this community,” and then willingly give their wealth to the poor, retaining only as much as will enable them to live comfortably. The Bahá’í Faith is a pragmatic religion – striving to learn how to walk the spiritual path with practical feet. The components of this process are described as study of guidance, consultation, action, reflection along with prayer and meditation on Scripture. This provides a set of interconnected steps to assess how effectively action is transforming our communities. I closed that post with a video that illustrated what I meant. Here it is again. 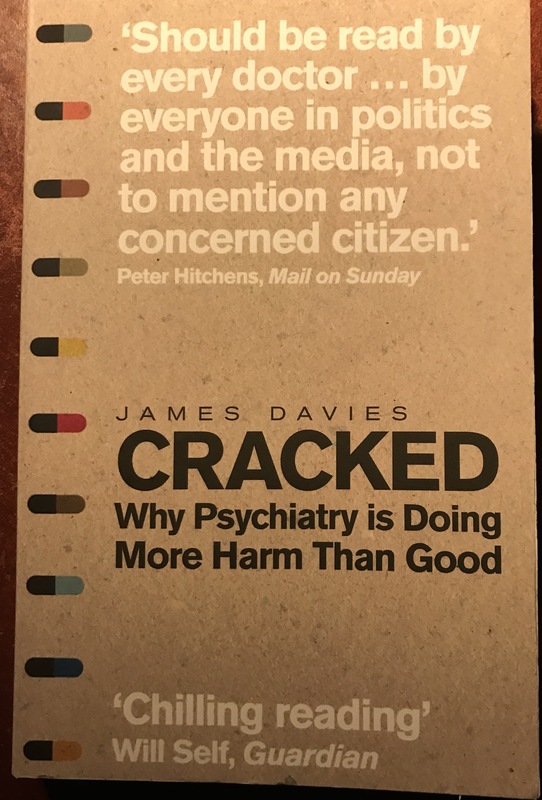 In the last post I ended up exploring James Davies’ perspective in his recent book Cracked. I was focusing upon his emphasis on relationships rather then medication as the more effective way to help those with psychotic experiences. Our age has replaced a religious point of view with a pseudo-scientific point of view. . . Now everything is explained in terms of molecules and atoms and brain scans. It is a reduction of the human being to a biological machine. We don’t have existential or religious or mental suffering any more. Instead we have brain disorders. What [Bahá’ís] find themselves struggling against daily is the pressure of a dogmatic materialism, claiming to be the voice of “science“, that seeks systematically to exclude from intellectual life all impulses arising from the spiritual level of human consciousness. What complicates things more is that we also live in a capitalist society, where there is always going to be someone trying to sell you something… In fact, some people would argue that capitalism can only continue by constantly making us dissatisfied with our lives.… You know, if everybody said I am very happy with my television, my car and everything else I’ve got, and I’m perfectly content with my lifestyle, the whole economy would come shattering down around our ears. What we customarily call mental illness is not always illness in the medical sense. It’s often a natural outcome of struggling to make our way in a world where the traditional guides, props and understandings are rapidly disappearing… Not all mental strife is therefore due to an internal malfunction but often to the outcome of living in a malfunctioning world. The solution is not yet more medicalisation, but an overhaul of our cultural beliefs, a reinfusing of life with spiritual, religious or humanistic meaning with emphasis on the essential involvement of community, and with whatever helps bring us greater direction, understanding, courage and purpose. However, we are even further away from generally accepting that some experiences labelled psychotic may have spiritual dimensions. Though the problems in the world have many different forms, they are nothing but symptoms of one underlying condition: the emotional, moral, and spiritual state of modern humanity. In the last analysis, they are the collective result of the present level of consciousness of individual human beings. The only effective and lasting solution to these problems would, therefore, be a radical inner transformation of humanity on a large scale and its consequent rise to a higher level of awareness and maturity. My difficulty in writing about Scole [a long and detailed exploration of psychic phenomena including material effects] is not because the experiences we had with a group have faded. They are as clear as if they happened only weeks ago. The difficulty is to make them sound believable. It is a strange fact of life that whereas most psychical researchers interested in fieldwork are able to accept – or at least greet with open minds – the events of many years ago connected with the mediumship of physical mediums such as Home, Palladino, and Florence Cook, a strain of scepticism fostered by scientific training makes it much harder for them to accept that similar events may happen today, and may even be witnessed by those of us fortunate enough to be there when they occur. I mentioned in my discussion of the Cardiff poltergeist case… the struggle I had with my own belief system after seeing the phenomena concerned. When in the room while they were taking place I had no doubt they were genuine, but as soon as I began to drive home I started to doubt. . . . . The whole thing seemed simply unbelievable. It took a lengthy investigation, including one occasion when I witnessed phenomena while I was on my own in one of the rooms where the disturbances took place and the owners were two hundred miles away on holiday, before I could fully accept that poltergeist phenomena can indeed be genuine, and provide evidence not only of paranormality but, at least in some cases, of survival. The task of creating an entirely different set of values and tendencies for humanity might appear to be too unrealistic and utopian to offer any hope. What would it take to transform contemporary mankind into a species of individuals capable of peaceful coexistence with their fellow men and women regardless of colour, language, or political conviction – much less with other species? To describe it as an uphill struggle would be an understatement. Climbing Everest alone and unequipped seems closer to the mark. [M]any researchers in the field of transpersonal psychology believe that the growing interest in spirituality and the increasing incidence of spontaneous mystical experiences represent an evolutionary trend toward an entirely new level of human consciousness. As we will see in the final two posts, our medicalisation of schizophrenia and psychosis might well be slowing this process down. If so there is all the more reason to give the Grofs’ case a fair and careful hearing. This will not be easy for the reasons that Fontana has explained. Professor William James may have been right when he lamented that it rather looks as if the Almighty has decreed that this area should forever retain its mystery. If this is indeed the case, then I assume it is because the Almighty has decreed that the personal search for meaning and purpose in life and in death are of more value than having meaning and purpose handed down as certainties from others. In terms of the monotheistic traditions first, why should not the personal divine presence be unmistakably evident to us? The answer is that in order for us to exist as autonomous finite persons in God’s presence, God must not be compulsorily evident to us. To make space for human freedom, God must be deus absconditus, the hidden God – hidden and yet so readily found by those who are willing to exist in the divine presence, . . . . . This is why religious awareness does not share the compulsory character of sense awareness. Our physical environment must force itself upon our attention if we are to survive within it. But our supra-natural environment, the fifth dimension of the universe, must not be forced upon our attention if we are to exist within it as free spiritual beings. . . . To be a person is, amongst many other things, to be a (relatively) free agent in relation to those aspects of reality that place us under a moral or spiritual claim. So what chance do Christina and Stefan Grof stand in their efforts to prove the mystical component of psychosis? In preparation for revisiting aspects of the paranormal next week it seemed worth republishing this from 2015. Here I am, back with Irreducible Mind again. It’s the post sequence on sub-personalities that did it. 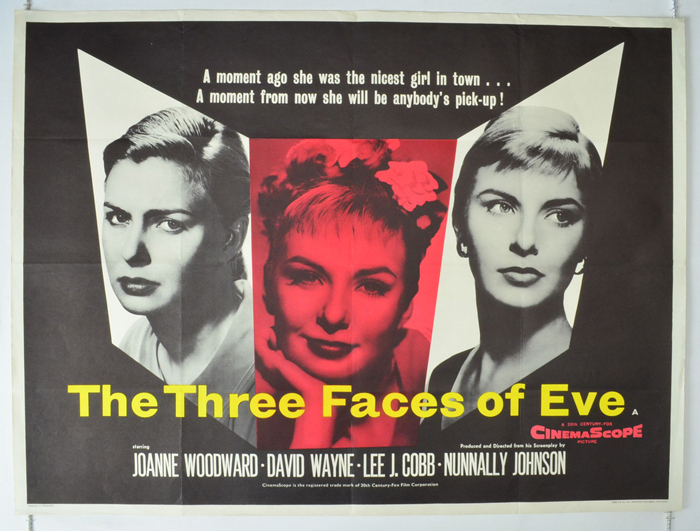 It reminded me of the topic I avoided blogging about at the time I first read the Kellys’ book: multiple personalities. I have used the book eagerly to help me explore the idea of genius and to add firepower to my attack on reductionism. I refrained from going over the ground they covered on NDEs because I’d pretty well exhausted that topic on this blog at the time, and I ducked out of tackling reincarnation because I didn’t feel I knew enough. I’ve forgotten what the chapter on Memory was about as it was too hard for me to follow. But my reasons for steering clear of multiple personalities were somewhat more complex as we will see. 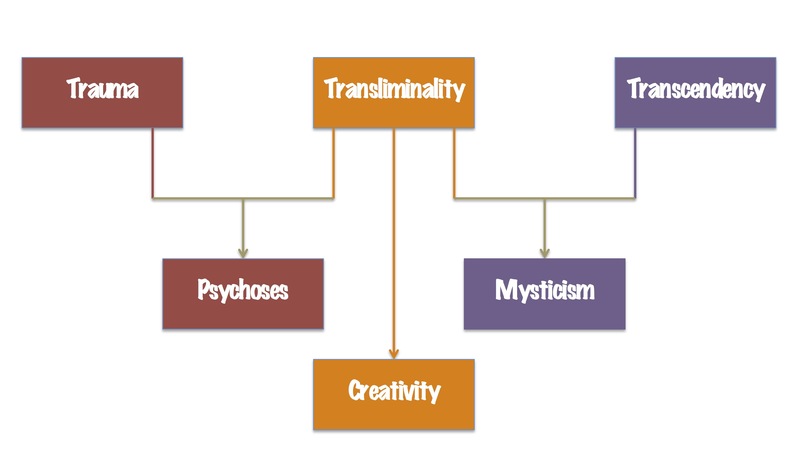 The chapter relating to multiple personalities is written by Adam Crabtree and covers more ground by far than can be tackled in detail here as it deals with ‘automatism’ in general and ‘secondary centres of consciousness’ in various forms. I think the discussion of automatism may have put me off blogging about this chapter as it deals with an area about which I know almost nothing and which, to the modern reader, smacks of what has been dismissed as a kind of Victorian paranormalism. I will quote briefly what Crabtree says on this topic as it clearly deserves more serious investigation than it has received in most of the last century. 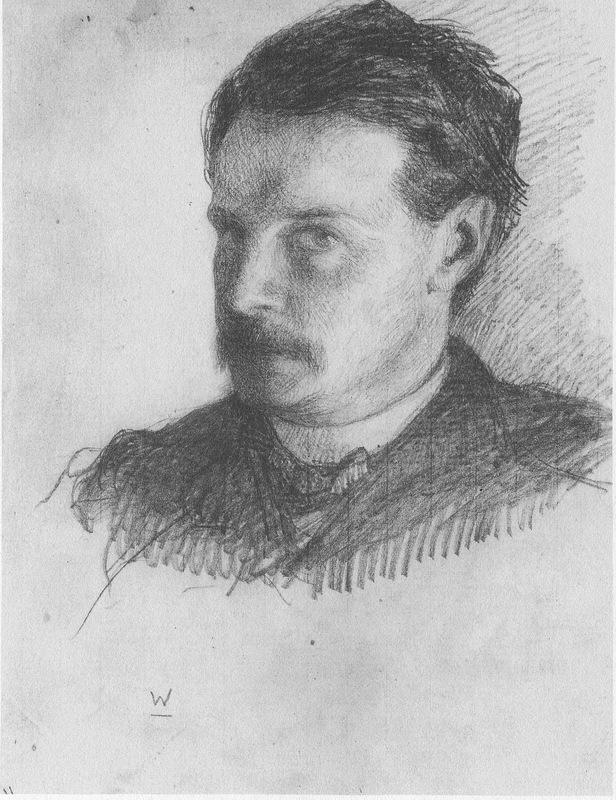 A secondary self – if I may coin the phrase – is thus gradually postulated, – a latent capacity, at any rate, in an appreciable fraction of mankind, of developing or manifesting a second focus of cerebral energy which is apparently neither fugitive nor incidental merely, – a delirium or a dream – but may possess for a time at least a kind of continuous individuality, a purposive activity of its own. However, this area is not my strong point so I am going to move on to a particularly interesting part of the evidence surrounding multiple personalities. Whereas automatic writing, these days, may be a phenomenon difficult to replicate, examples of Multiple Personality Disorder (MPD), though perhaps still somewhat controversial, would be far easier to find and therefore to systematically investigate. Studies (Bahnson and Smith 1975 – page 349) have detected significant differences in such measures as ‘heart rate, respiration, and skin potential taken during audio-visually recorded psychotherapy sessions with a multiple personality patient over an eight month period.’ They concluded that ‘alter personality states of MPD are physiologically distinct states of consciousness.’ These measures would shift with changes in mood and arousal even without MPD involvement, though it is the consistency over time that points towards the conclusion they draw in the end. In an early survey of psychophysiological phenomena in MPD, B. G. Braun (1983) noted previous clinical reports indicating that striking physiological differences were sometimes observed between “alter” personalities in a multiple personality case, including alterations in handedness, rate and ability to heal, response to medication, and allergic responses. In this article, Braun also described three multiple personality cases of his own which involved the appearance and disappearance – depending on the personality in control of the body – of allergies to citrus fruit, cigarette smoke, and cats. 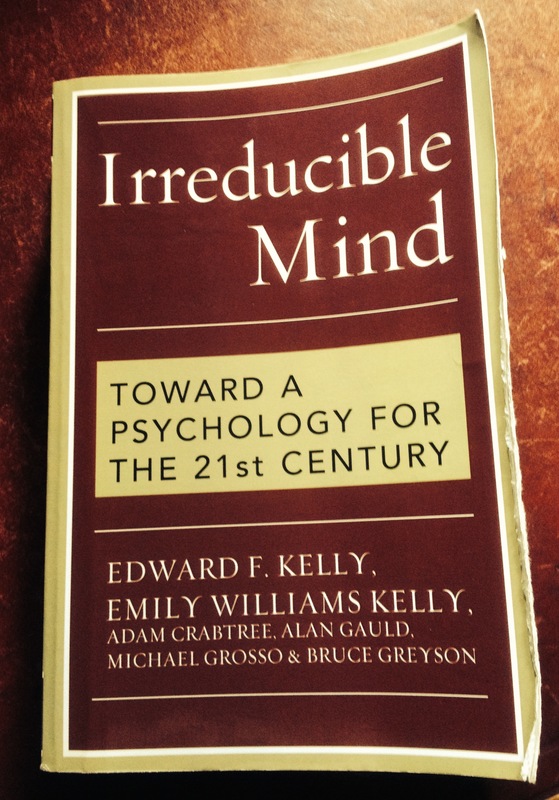 Emily Kelly goes into even greater detail on this issue in her chapter on psychophysiological influences (page 168). That credible investigators claim to have discovered such effects seems to me to require that sceptics, instead of rubbishing them out of hand, should delve more deeply into the data themselves and set up studies of their own. Assuming that such findings prove robust, they will have implications about the mind/brain/body relationship that must undermine many of the prevalent assumptions, including the one that states that the mind is entirely reducible to the brain. 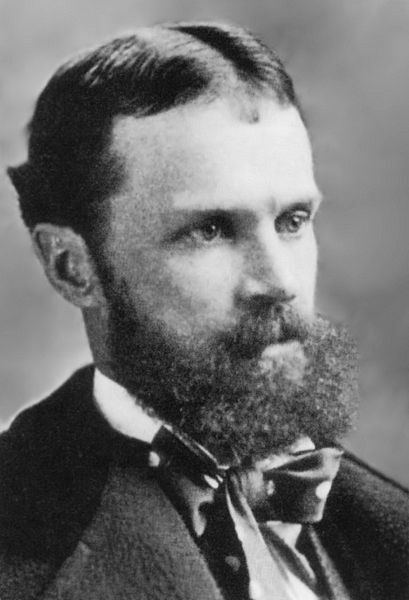 Crabtree makes a strong case for seeing the evidence amassed by the Society for Psychical Research (PSR) and Myers himself in his masterwork Human Personality (page 353) as providing ‘impressive,’ and in his view, ‘compelling evidence for the reality of supernormal phenomena.’ He then indicates that, in the context of automatisms, he will be examining such phenomena under three headings: ‘creativity, motor automatisms and mediumship, and experimental psi research.’ This takes us beyond MPD in its strict clinical sense, but adds another dimension to the theme that our consciousness is split into various domains. If you will let me use the language of the professional logic-shop, a universal proposition can be made untrue by a particular instance. If you wish to upset the law that all crows are black, you mustn’t to seek to show that no crows are; it is enough if you can prove one single crow to be white. My own white crow is Mrs Piper. In the trances of this medium, I cannot resist the conviction that knowledge appears that she has never gained by the ordinary waking use of her eyes and ears and wits. What the source of this knowledge maybe I know not, and have not the glimmer of an explanatory suggestion to make; but from admitting the fact of such knowledge I can see no escape. Myers . . . insisted that our ordinary consciousness is not on top in any significant way, and that, as a matter of fact, what is most sublime in us and what is most original, derive from the subliminal, from what is out of sight, and from what, in the last analysis, must be our most essential Self. And there is where I will leave the matter for now. We may think of science as one wing and religion as the other; a bird needs two wings for flight, one alone would be useless. Any religion that contradicts science or that is opposed to it, is only ignorance—for ignorance is the opposite of knowledge. Religion which consists only of rites and ceremonies of prejudice is not the truth. Let us earnestly endeavour to be the means of uniting religion and science. Human beings are not passive observers of reality and our personal reality, our thought, is not simply imposed upon us. In a very specific way we may consider ourselves – collectively – as co-creators of reality, for through the power of the human mind and our interactions, the world undergoes continued transformation. . . . . and this is the last post republished on the back of my most recent visit to Hay-on-Wye. What would I do without second-hand books? not much, I suspect! My battle to finish reading Irreducible Mind, the Kellys’ monumental and significant collection of chapters on how psychology lost the plot at the beginning of the last century and where it should think about going from here, alerted me, when I visited Hay-on-Wye and Cardiff, to look out for anything about William James or Frederick Myers. I found zilch on Myers in either place, sadly, as I wanted some real books of his instead of the soft copies I’ve downloaded. It feels distinctly incongruous reading massive 19th Century masterpieces on an iPad. I was much luckier with the better known, but not necessarily more significant James. I decided to start by reading the thinnest of the three books I now have, one I’d acquired in a bookshop hidden away down Morgan’s Arcade in Cardiff near the Plan café. This may not have been as smart a move as I thought as thin does not mean easy to read, as I discovered. 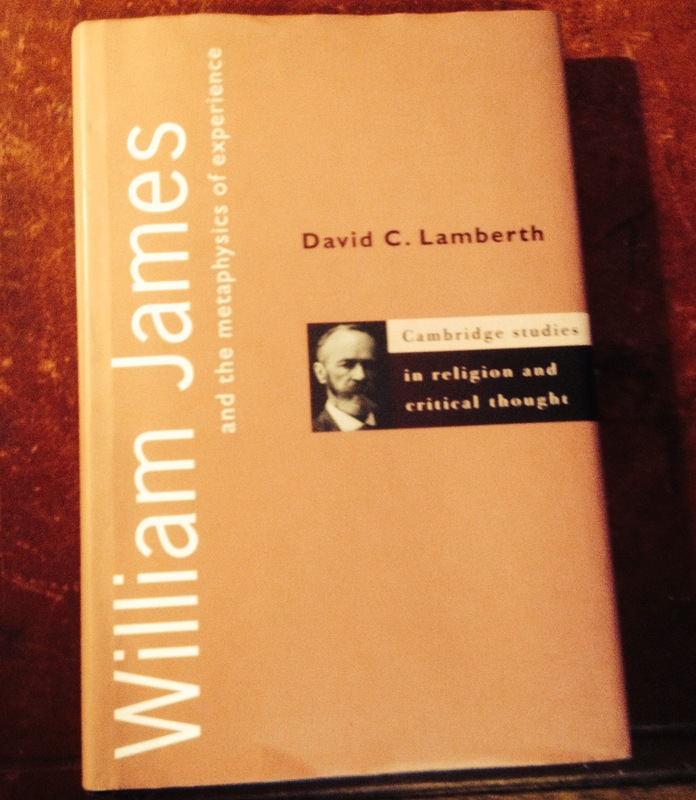 None the less David Lamberth’s book, William James and the Metaphysics of Experience, has turned out to be an excellent starting point, even though I probably understood less than half of the first half of the book. The last part, though, from my point of view, was crammed with valuable insights into where James took us to and where we might now profit by following the path he was pointing towards. The key to what Lamberth feels James is saying is summarised in the title to this piece. Not surprisingly grasping this idea, for me, depends upon a rigorous way of analysing what religious revelation might mean operationally for those of us who are striving to understand where humanity is spiritually at this point in its history. By that I mean ‘What does it imply both for how we enhance our understanding further and how do we turn that understanding into effective action, socially, scientifically and morally? Lamberth helps towards the clearer definition of those implications. Acknowledging that Lamberth may not be able to recognise his own ideas in the use I am going to make of them, I will quote him whenever possible, though obviously outside of the full context of his thinking which I don’t completely understand. I doubt I’ll ever make it now as a philosopher. [James] generally sides with empiricism on methodological grounds, even though he was consistently dissatisfied with the world-view of its premiere representative, materialism.
. . . [c]uts that are made in the fabric [of experience] conceptually must be seen to be arbitrary to a degree, in that they are not necessarily “natural” to the pure experience itself . . . Philosophy should seek this kind of living understanding of the movement of reality, not follow science in vainly patching together fragments of its dead results. (James) seeks a philosophy that both can account for the practical successes of the sciences and can value and provide insight into our moral and religious sentiments and experiences . . . .
. . . .[I]s one all inclusive purpose harboured by a general world-soul, embracing all sub-purposes in its system? Or are there many various purposes, keeping house together as they can, with no overarching purpose to include them? Lamberth takes the view that, in the end, James does not feel able to conclude with certainty that there is an Absolute. 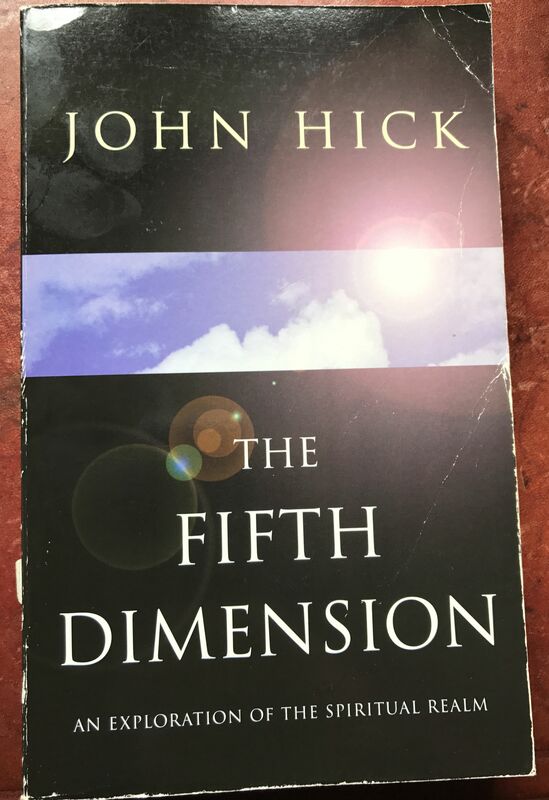 His ‘pluralism’ (I will return to what that might mean for James) assumes (page 197) ‘that the superhuman consciousness, however vast it may be, has itself an external environment, and consequently is finite.’ As we will see as this argument unfolds, this is a much subtler and far less reductionist position than might at first seem the case. Our “normal” consciousness is circumscribed for adaptation to an external environment, but the fence is weak in spots, and fitful influences from beyond leak in, showing the otherwise unverifiable common connection [between all]. Not only psychical research, but metaphysical philosophy and speculative biology are led in their own way to look with favour on some such “panpsychic” view of the universe as this. Contrary to what his final conclusions suggest, James was actually quite sceptical of jumping to conclusions about the veracity of purported psychical events. He did, however, find himself forced to resolve that the most reasonable explanation for certain psychical phenomena was to postulate some sort of “leakage” between a wider, interpersonal area of consciousness (or experience) and the otherwise “fenced” individual field or sphere of experience. Every bit of us at every moment is part and parcel of a wider self, it quivers along various radii like the wind-rose on a compass, and the actual in it is continuously one with possibles not yet in our present sight. And just as we are co-conscious with our own momentary margin, may we not ourselves form the margin of some more really central self in things which is co-conscious with the whole of us? May not you and I be confluent in a higher consciousness, and confluently active there, tho [sic] we now know it not? The pluralism mentioned earlier therefore stems from our multitude of different perspectives as unique individuals who are subliminally interconnected and potentially subsumed into a greater consciousness. James’s use of the word ‘pragmatism’ has been part of the source of confusion as to exactly what he means and what the implications are for any sense whatsoever of the ‘Absolute.’ Lamberth is clear that pragmatism, for James, was not limited to the material realm (page 212).
. . . the question of “Truth” has continued to vex interpreters of James to the present. On Putnam’s reading, what is merely verified is always only “half-true” for James, while what is “true” by contrast, is true absolutely, standing in relation to an ideal or absolute truth to which we imagine all our formulations will converge. On this view, truth claims – however stable – are only ever hypothetical and provisional; moreover, counterfactuals, should evince some concrete grounding in fact, are only the beginnings of new trails of enquiry that lead to the revision of old truths or the addition of new ones. For James, then, there are falsification conditions for any given truth claim, but no absolute verification condition, regardless of how stable the truth claim may be as an experiential function. He writes in The Will to Believe that as an empiricist he believes that we can in fact attain truth, but not that we can know infallibly when we have.
. . . the study of religion . . . . . developed in such ways that the insights of James’s views, in particular, the varied commitments of radical empiricism as a systematic, spiritualistic world-view, were never fully explored, much less embraced. Science nominally endorses James’s criteria for the correct application of empiricism, but in practice privileges its own untestable assumptions while dismissing those of others. James has little patience with this kind of double standard. 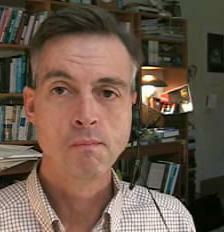 James seeks critically to hold off temptations towards reduction, whether reduction to quasi-mystical phenomenalism that eschews valuable reflective insights – scientific or philosophical – or reduction that privileges the philosophical or scientific account over the concrete, diverse first-order experiences that are its spark. I . . . think that James’s turn to experience – understood in the broader context of his radical empiricism – is of crucial, substantive importance to the philosophy of religion, now and in the future. Considering James closely suggests that we should not adopt a theoretical stance that presumptively protects dominant metaphysical assumptions concerning “scientific” or “realistic” explanations from . . . scrutiny any more than we should adopt such a protective strategy for religious explanations and experiences. 2. the development of new insights. 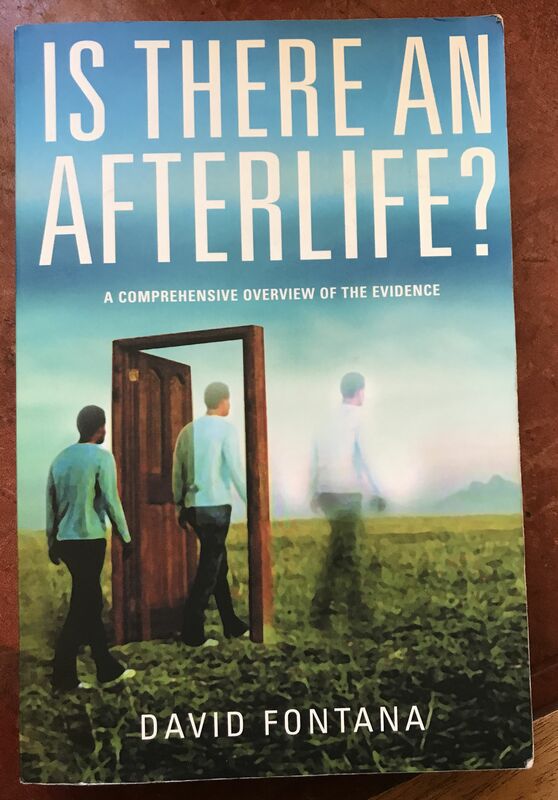 A full understanding of all the implications of these insights goes further than simply hoping to reconcile science and religion while they continue to go on their separate ways. For those who have the time, a viewing of the video below will demonstrate a part at least of what I am trying to say. Here we see communities across the globe applying their current understanding of the Bahá’í model for community action, learning from what goes well and what does not, to enhance their implementation. It is important also to realise that all significant details concerning these experiments are fed back to the centre of the faith, collated and fed back to the Bahá’í world as a whole for further implementation, experimentation and hopefully eventual validation. What is learnt is also preserved, to be cascaded down through time as well as across widely dispersed locations. Cultural Creatives may be leading the way with responses directed towards healing and integration rather than battle. For these responses to contribute to the creation of a new culture, grassroots activism and social movements will have to evolve into new institutions. . . . [W]hile new social movements are transitory, institutions can turn the energies of these movements into everyday action. For pragmatism, scientific or religious, to produce valid revisable conclusions of lasting practical value, the improbable combination of radical open-mindedness and strong institutional co-ordination is vital. It is to this combination of essential qualities that the Bahá’í community aspires – not an easy task by any means, calling as it does for a degree of detachment from what you think you are doing so you can see what is actually going on, whether at the individual, community or institutional level. 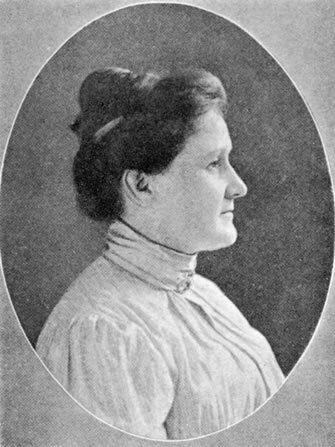 Whereas so far the main attempts to validate religious practice have focused on such admittedly significant areas as meditation, and the related experience of mysticism, or the correlation between religious beliefs and an individual’s charitable action, there have been very few examples indeed of the careful examination of the beneficial impact of constructive religious practices on communities as a whole. This is what in my view makes the Bahá’í process an innovative if embryonic example of pragmatism in the Jamesian sense. To operate this way effectively, of course, those who are testing the model need to accept that they will sometimes get it wrong as well as right. It is for me exciting to see a rigorous explanation of why, in philosophical terms, such an enterprise makes sense, though it is also disappointing that there are, so far, so few concrete examples in either field of pragmatic and dispassionate investigation crossing the currently great divide between religious and scientific practice, though both these disciplines have the capacity to mount them and a self-evident duty to do so. A wind rose is a graphic tool used by meteorologists to give a succinct view of how wind speed and direction are typically distributed at a particular location. 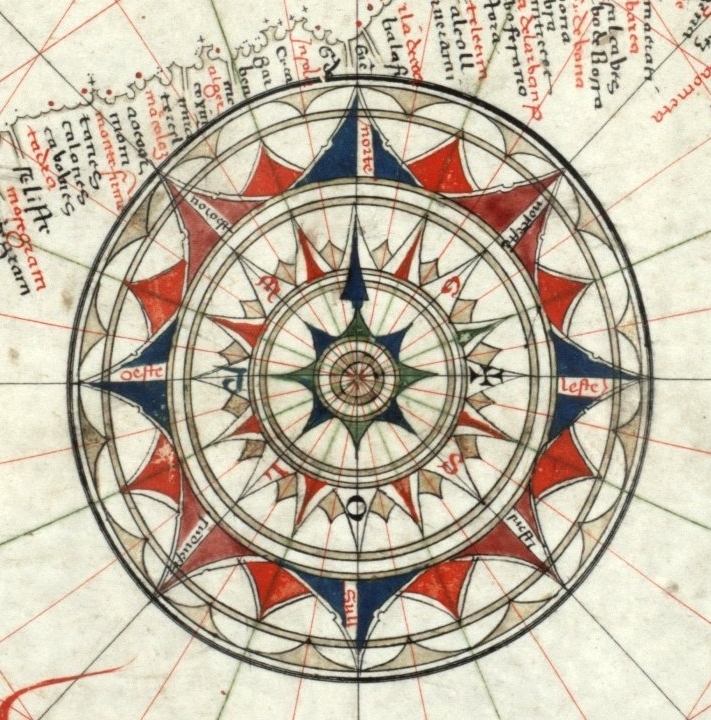 When the magnetic compass began to be used in navigation, the wind rose was combined with it and used as a compass card. Not everyone would agree that science lacks this kind of humility. For instance, Paul Jerome Croce describes it somewhat differently in his book Science and Religion in the Era of William James – page 4 – stating ‘probabilism, relativity, and hypothetical methodologies firmly established the fundamental uncertainty of modern science.’ I will be looking at this in more detail in a subsequent post. My suspicion is, as Croce also suggests, that the evangelists of science, who tend to monopolise the public gaze, were then and, for me, are now mostly dogmatic materialists. This is even more true in the UK, I suspect, than in the States. There are those on what are probably the edges still of the scientific community who would already recognise this as a viable method of investigation, one that will enhance both understanding and practice. One example is the model of action research described by Peter Reason.